‘Tis the season to start decorating your tree, but what to do when you live in a teeny tiny apartment or home? Make a wall tree, of course! A modern wall tree, powered by VELCRO® Brand tape and a few gold animal toys. The materials for this are fun and create a surprisingly modern look. 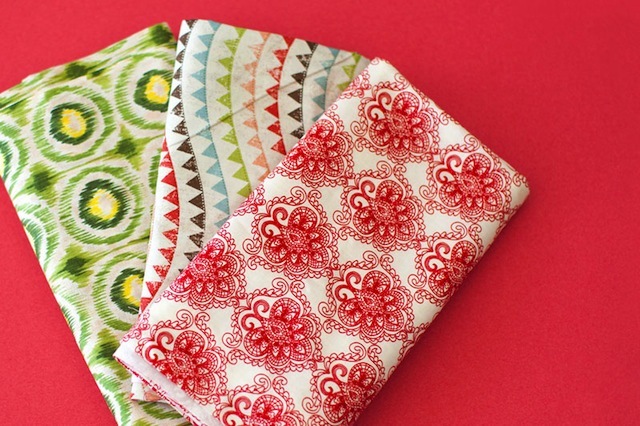 We stocked up on 3 festive fabrics from our favorite craft store. Other than that, the tools for this are your usual suspects, dinosaurs (or other decorative items) included. 1. 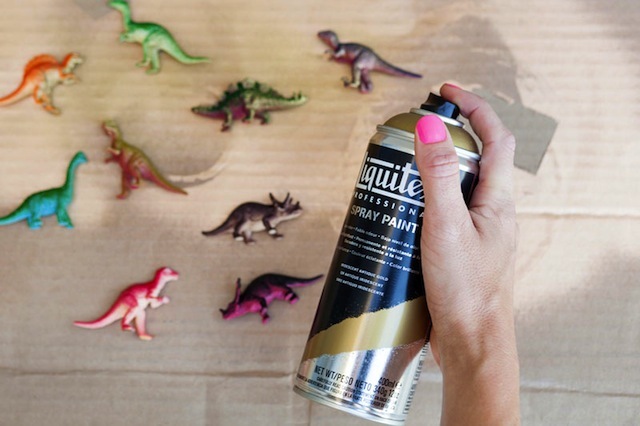 To create gold animal toys, get regular plastic toys and spray paint them gold! So easy! 2. While your animals dry, it’s time to create your tree. 3. We broke down cardboard boxes to create the base for our tree. As you might imagine, you want to create a giant triangular shape. 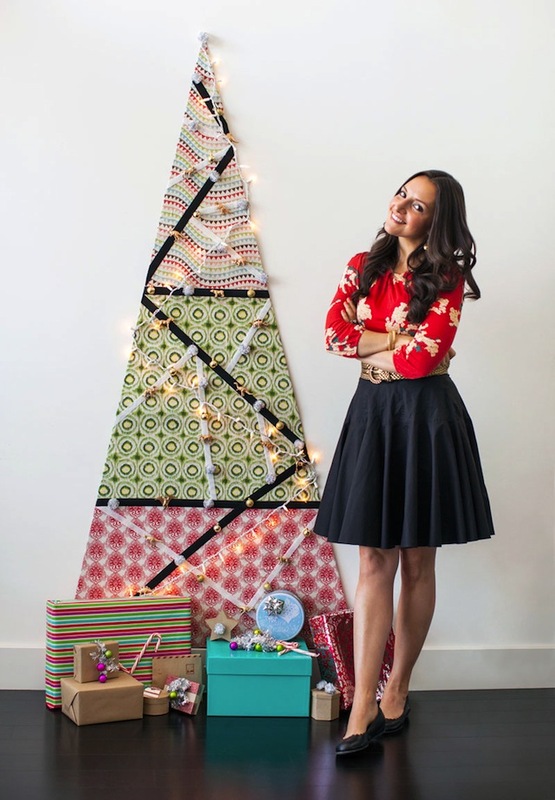 Tape cardboard together and use a Xacto® craft knife to cut out your tree. 4. 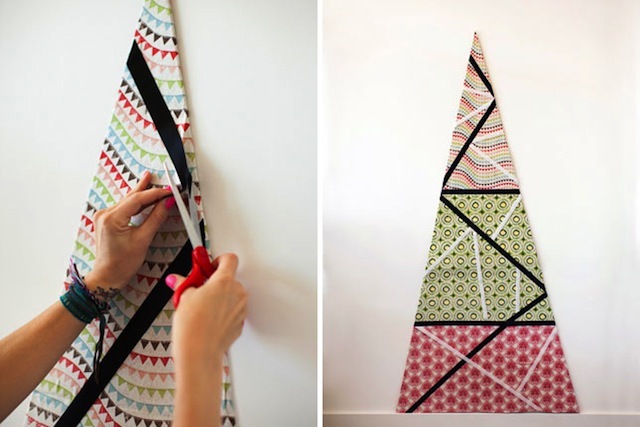 Cut fabric so that it’s 2 inches larger than your tree shape. Use spray adhesive to attach your fabric to the cardboard. 5. Attach to the wall using the Sticky Back Coins. 6. 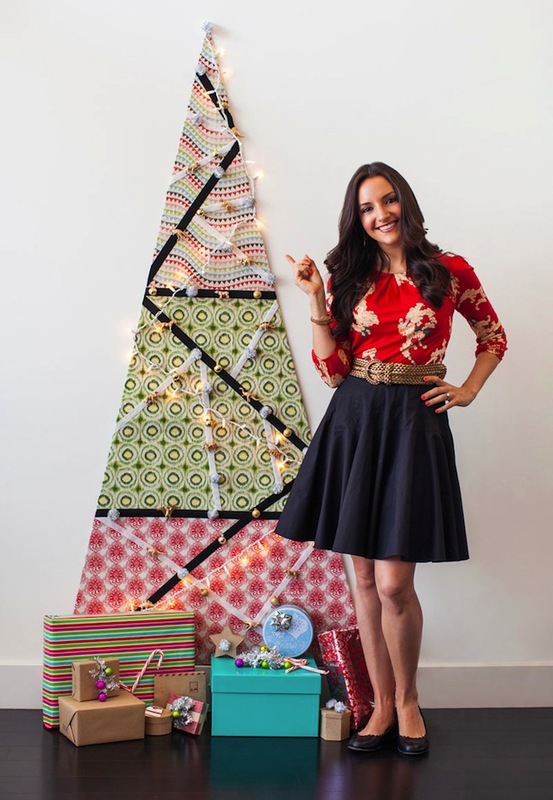 Then add strips to hang ornaments by attaching VELCRO® Brand Sticky Back Black Tape to your tree. We used a few strips of VELCRO® Brand Sticky Back White Tape as well for a little contrast action. We created sort of a geometric mosaic look. 7. Now back to your animal toys and pom-poms. To turn them into ornaments, snip VELCRO® Brand Sticky Back Black Coins in half and stick a piece on the back of each one. 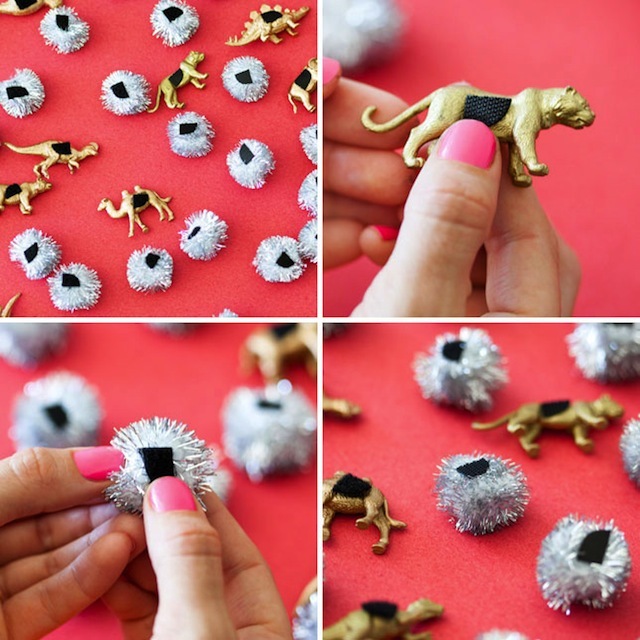 We also added VELCRO® Brand Sticky Back Black Coins to pom-poms and mini ball ornaments. 8. Trim the tree with your ornaments and a strand of lights and you’re done! What a great looking tree! 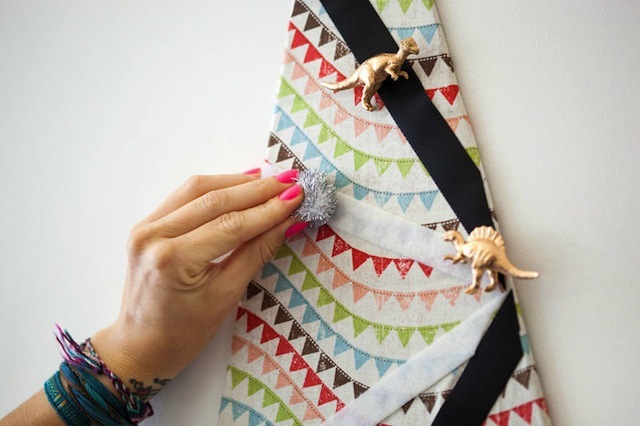 Related Holiday Project: Give Your Gift Wrapping Some Pop!